There are basically two steps to brewing a very strong beer by feeding your fermentation. The first step is to formulate a recipe and a plan. 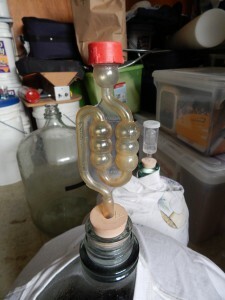 The second step is to brew the initial beer and then feed the fermentation. I’ll cover the first step today and the second tomorrow. Twelve percent alcohol by volume (ABV) is the alcohol tolerance listed for many yeast strains that are commonly use to brew strong beers. For recipes under 12% ABV, you probably do not want to bother with feeding — just brew the normal way, paying close attention to pitching rate and aeration. If your beer is over 12% ABV, or the predicted ABV is higher than the alcohol tolerance listed for your intended yeast strain, feeding the fermentation should let you squeeze a little bit more alcohol from your yeast.